Four classes of first graders sat on the floor of my school’s multi-purpose room. I heard murmurs of, “We’re going to meet Josh.” In the previous week, these first graders had listened to their teachers read aloud a few of Josh’s books. His books captured their imaginations and made them laugh. They learned that they were going to meet this author and get to talk to him. In the minds of these first graders, Josh was already a celebrity and a friend. I could feel their excitement as they waited for him to appear on the screen in front of them. I had previously met children’s author Josh Funk at the International Literacy Association conference in Boston in July. I was as excited as the students to be Skyping with him at our school. Josh graciously offers his lunchtime on Fridays for Skype sessions with classrooms (he has another job besides children’s author). Within the twenty-minute author session, Josh introduced himself and his books and children had the opportunity to ask him questions. Prior to the session, teachers had brainstormed questions and each class decided on a couple they would ask. The children asked him questions such as how he gets his ideas, where he does his writing, who helps him with his books, and how he makes his stories rhyme. 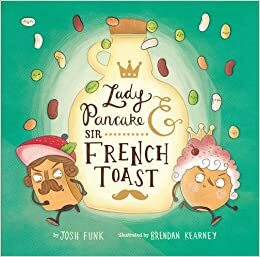 Inspired by Josh's book, Lady Pancake and Sir French Toast, which takes place within a refrigerator, one child asked about the foods in Josh's own refrigerator. When responding to the questions, Josh discussed his own writing process offering lessons that can help students understand what it means to be a writer. He explained that he gets his ideas from everywhere, from looking around the world, and even from spying on people and listening in on conversations (this got lots of giggles from students). Josh told students that he had to revise one of his books fifteen times, showing that writing takes hard work and perseverance. I hope Josh also inspired the children to follow their passions. He asked the first graders if they liked art. He then told the students about the illustrator of one of his books, Brendan Kearney, who spent a week coloring in beans. His advice to the first graders was that they should keep working on their art because someday they, too, could have a job in which they color in beans (another giggle moment). This was the first time I had ever Skyped with an author at my school. The process of setting up the session involved a few emails between Josh Funk and myself to arrange a date and a few conversations with the technology coach at my school to ensure we had the capability to Skype. The process was simple and pain-free. 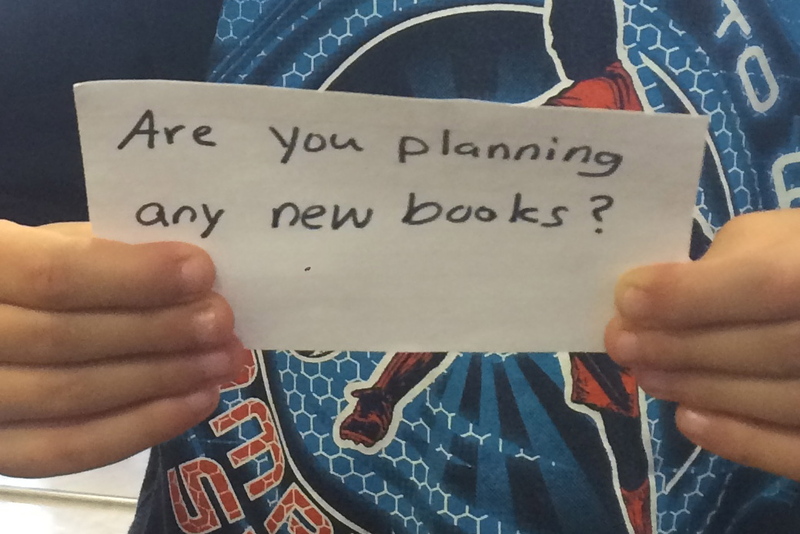 An in-person author visit, because of the expense, is often not an option for schools. This virtual visit proved to be a wonderful alternative to connect children with an author. The opportunity allowed the children to see an author as a real person who exists in the world. He was also able to provide children with insight into the writing process in order to influence their writing lives. The connection that was made between these first graders and the author also benefitted their literacy learning as it helped to grow their enthusiasm for books and writing. Check out Josh Funk's books at his website. Visit Kate Messner's website for a list of authors who Skype for free. It's good to know authors love the visits as much as the children! I'm not familiar with Josh Funk butI will certainly check out his books. Technology is wonderful because it can connect us so easily and it's even better when it works correctly! Nothing inspires students more than talking with a published author. Yay for the power of Skype! So true that it's better when it's working correctly! I always get nervous about that part when I plan something like this! 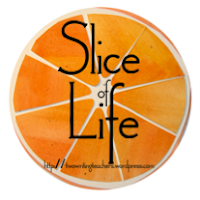 Lisa, I missed seeing Josh at ILA but got a sneak peek with your post today. I am wondering if your students and you would be interested in creating an #imagepoem for my Autumnventure Gallery. The link to the invitation is at http://beyondliteracylink.blogspot.com/2016/10/invitation-to-autumnventure-gallery.html. Have a great fall day. I will check that out, Carol. Thanks!